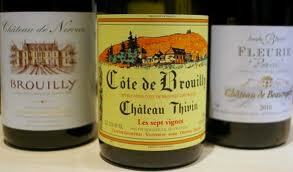 In 2001, wine from the French region of Beaujolais went unwanted. Now, its 2009 and 2010 wines are coveted. As this country’s wine tastes shift away from bombast toward more balanced efforts, let’s imagine we could reduce that trend to a single wine from a single place. This wouldn’t be a wine made to floor you, overpower you or incite some rapturous state. It wouldn’t be a “great” wine, a high-scoring wine. On the contrary, it would be a wine that symbolizes the waning years of point-score piety, a wine for which profundity is an option but not an expectation, a wine whose sole purpose is to charm. And if you’re going to be moved by it, it will be due not to the wine’s depth or complexity but to its simplicity and clarity of expression. To me right now that place, that wine is Beaujolais. The region’s wines, made from Gamay Noir, have never been more lucid, more honest, more pure in intent than in these last two vintages, 2009 and 2010. When I open a lightly chilled bottle of, say, the organically grown 2009 Morgon from Georges Descombes, I know I will not have to grasp at anything or wait for the wine to come to me. Its luminous uncomplicated beauty will be immediately apparent, and I know that with each sip I will feel something that is altogether rare and fleeting in bottles of wine or, really, in life: I will feel joy.